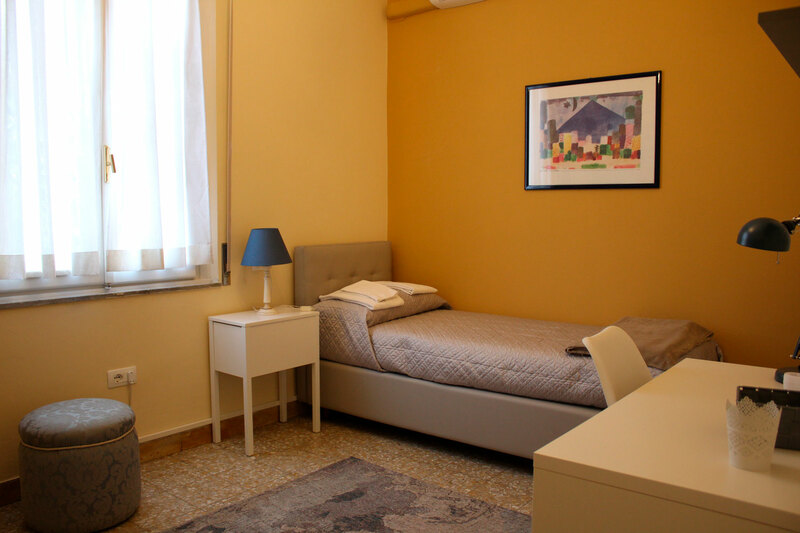 All our rooms are equipped with wide windows and air-conditioning, spacious wardrobes, desks and Wi-fi. 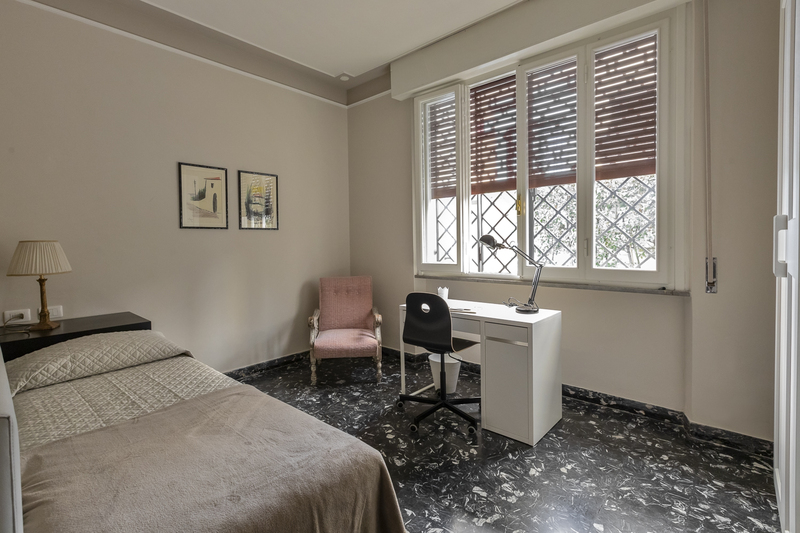 Thanks to the disposition of the rooms, it is possible to create two appartments when required: the first apartment is made of two single rooms and private bathroom, the second one includes a double/master bedroom and a single room with private bathroom. Inside the house our guests will find a livable kitchen equipped with table and chairs and all the domestic appliances, looking over a comfortable private outdoor area and a wide garden which surronds the house on three sides. Moreover, a spacious living room fitted with a flat screen satellite TV and a relax and reading area are at your disposal. All the three bathrooms of the House are equipped with a large shower cabin and a hair dryer. A luggage room is available in the basement. Outside, guests can find a laundry room with a washing machine, a dryer and a basin. Our structure offers free Wi-fi and a 24-hour external video-surveillance.